Stuffing is a must-have for any Thanksgiving spread. But even one serving of that buttery, bready deliciousness can leave you feeling, well, stuffed. And forget those pre-packaged boxes — they’re loaded with sodium and stale herbs. 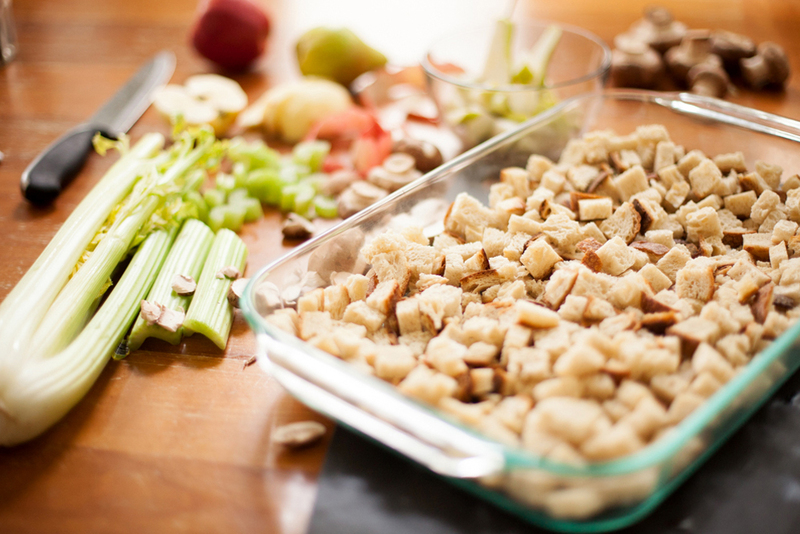 Making stuffing from scratch is simple, customizable and, with a few healthy modifications, much better for you. 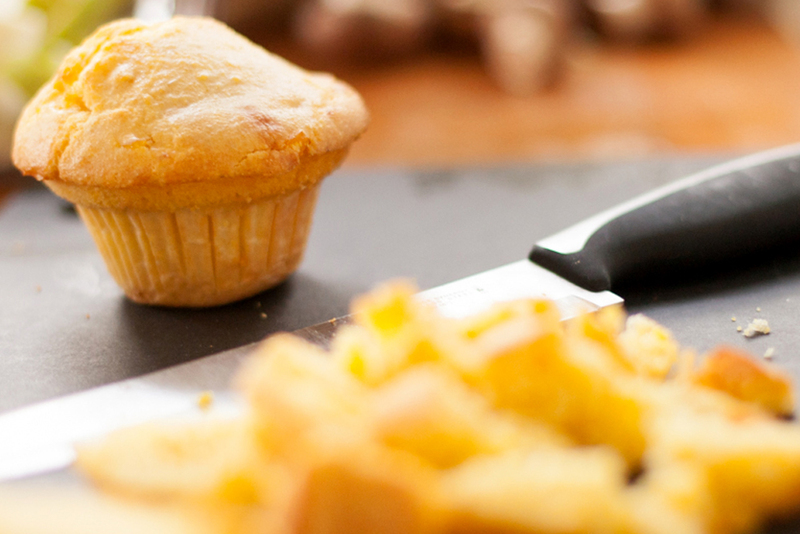 This Thanksgiving, follow our DIY stuffing tips to cut out unnecessary fat and calories. Also, check out three recipes that’ll make your stuffing special by adding local, seasonal ingredients. 1. 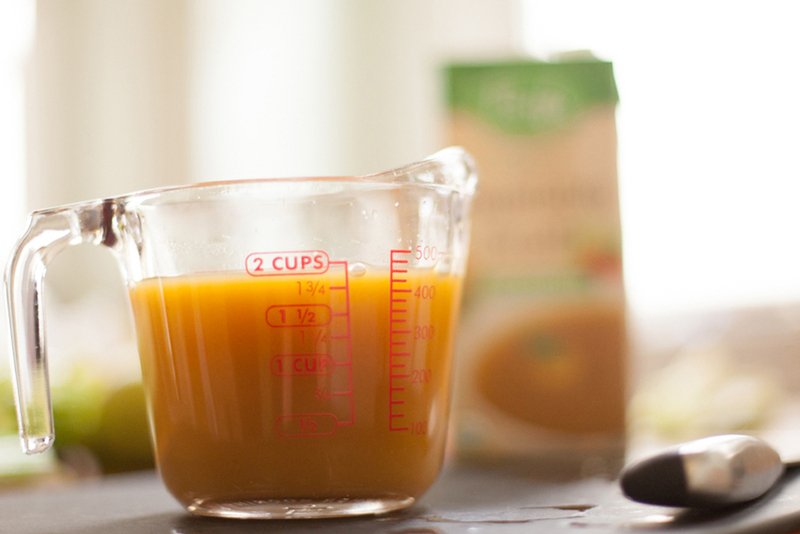 Use more broth and less butter, for a rich flavor without the saturated fat. 2. 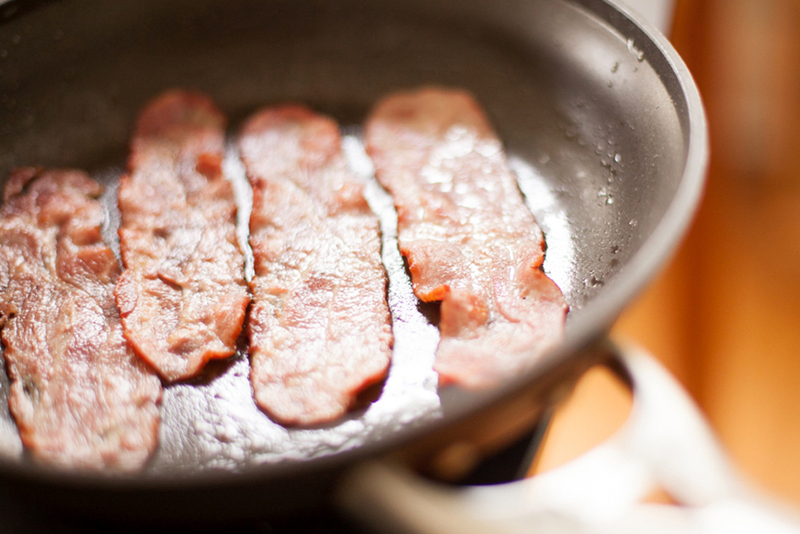 For recipes that call for sausage or bacon, substitute chicken sausage or turkey bacon — these have a similar flavor and much less saturated fat. 3. No gluten for you? Simply replace regular bread with gluten-free, then cube and dry it out overnight, as you would with regular bread. 4. Eggs are optional in stuffing recipes. 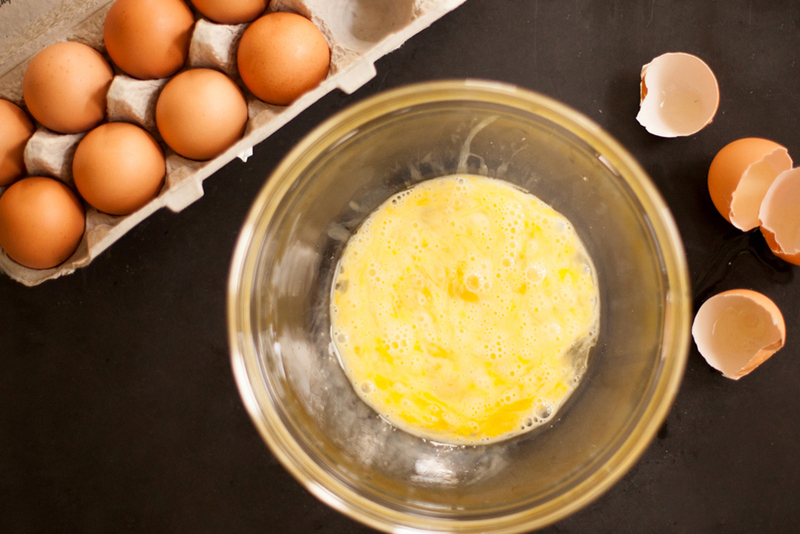 If you prefer a richer, denser stuffing, whisk two eggs into the broth before adding to the stuffing mixture. For a lighter, fluffier stuffing, omit the eggs. 5. 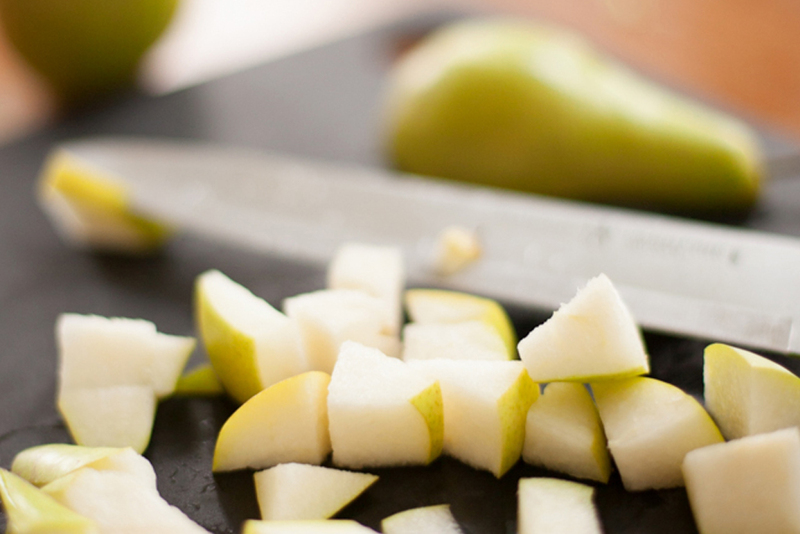 Add fresh, local produce (like pears, apples, fennel root, squash) to boost the fiber in each serving. Using chicken breakfast sausage imparts delicious flavor without all of the fat of other sausages. 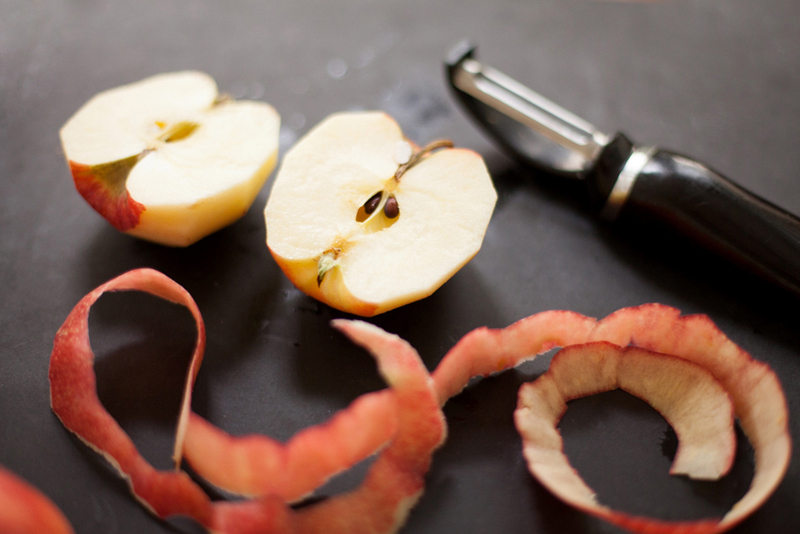 Local pears, fennel bulb and rustic sourdough bread take ordinary stuffing to a new level. Heat oil in a large, nonstick skillet over medium heat. Add sausage and cook 5–6 minutes, breaking up into pieces with the back of a wooden spoon, until browned. Add onion, celery, and fennel and continue to cook another 5 minutes until vegetables have softened. Transfer to a large bowl and fold in bread, pears and herbs. Add 2 cups of broth, season with salt and pepper and stir to combine. The stuffing should be moist but not saturated. Add more broth if needed. See below for baking instructions. Makes 8 servings. The nutty taste of mushrooms pairs wonderfully with local hazelnuts and a rustic rye bread. If you can’t find a good artisanal rye loaf (not the store-bought sliced bread), use a crusty Italian loaf instead. Melt oil in heavy Dutch oven over medium-high heat. Add leeks and mushrooms and sauté until mushrooms release their liquid and leeks are soft, about 10 minutes. Add celery and cook another 5 minutes. Transfer mixture to a large bowl with the bread cubes. Fold in parsley, thyme, sage and hazelnuts. Add 2 cups of broth, season with salt and pepper, and stir to combine. The stuffing should be moist but not saturated. Add more broth if needed. See below for baking instructions. Makes 8 servings. The key to good cornbread stuffing is letting the bread become very stale so the cubes of cornbread retain their shape and texture when re-moistened with broth. Heat oil in large nonstick skillet over medium heat. Add bacon and sauté 5 minutes, until crisp. Add onion, celery and apple and continue to cook until soft, about 5 minutes. Transfer to a large bowl. Add cubed, dried cornbread, sage and thyme, and season to taste. Add 2 cups of broth and stir to combine. The stuffing should be moist but not saturated. Add more broth if needed. See below for baking instructions. Makes 8 servings. Stuff both the neck and the body cavities, using about 1/2 to 3/4 cups of stuffing per pound of turkey. It should not be packed in — any extra stuffing you made can bake alongside in a separate dish. Stuffing is done when it reaches 165 degrees. Preheat oven to 350 degrees. Transfer stuffing to a greased baking dish, cover with foil and bake until it reaches 165 degrees, about 1 hour. Uncover and bake until top is crisp, about 15 minutes.